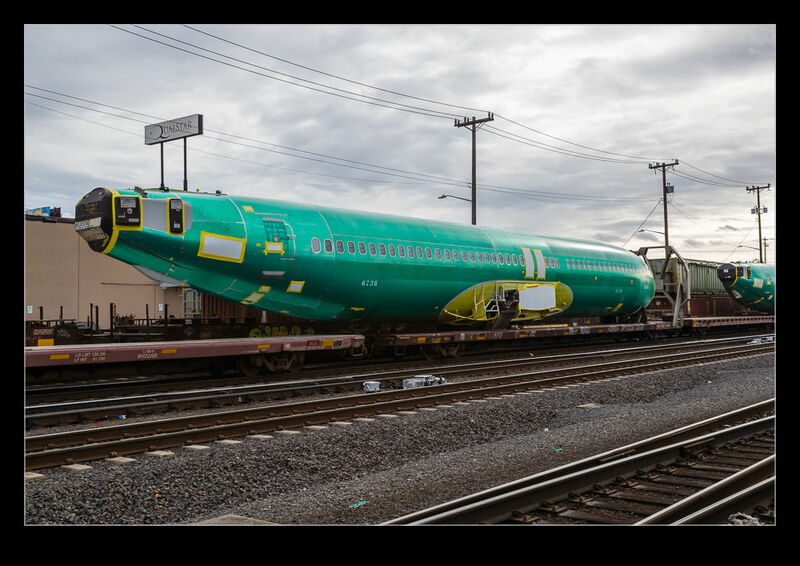 At various times I have seen the fuselages for new Boeing 737s heading by on the trains through Seattle. Usually I am a distance away from them and I get a shot that is a bit hazy and less than distinct. Recently I was working in a yard alongside the main tracks as some equipment was being loaded. I had my camera to hand to record the loading process as a train came by behind us. Initially I figured it was just another freight train so didn’t pay attention. Then, I caught the color of the fuselages out of the corner of my eye and realized a couple of new jets were onboard. Before it got too much further, I was able to grab a couple of shots. 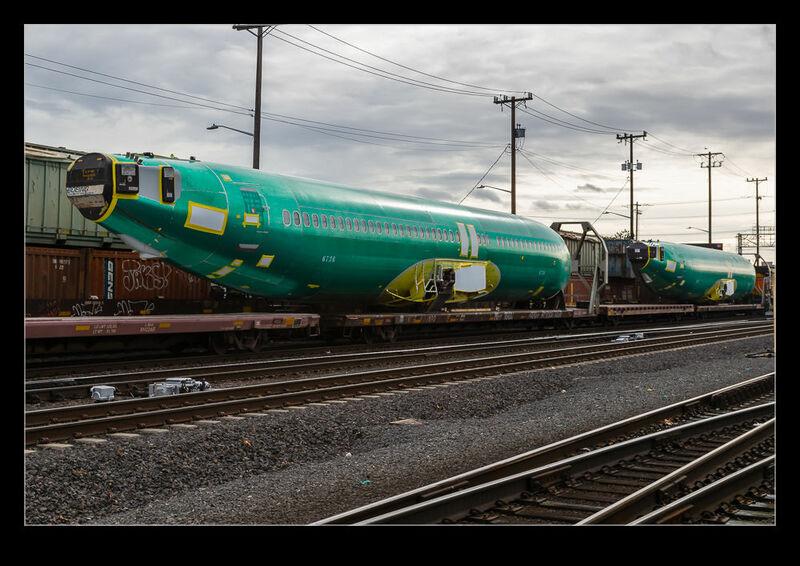 This entry was posted in aircraft, civil, Pacific Northwest, photo and tagged 737, bnsf, Boeing, delivery, fuselage, photo, rail, seattle, train, washington. Bookmark the permalink.